I want to get a low voltage on output pin of Arduino mega. I have connected Pin 46 to A3, and wrote 120 value to 46 port. Expected was to get 2-3v on A3 input pin. Instead I always get 1023 values as input. Am I doing something wrong ? 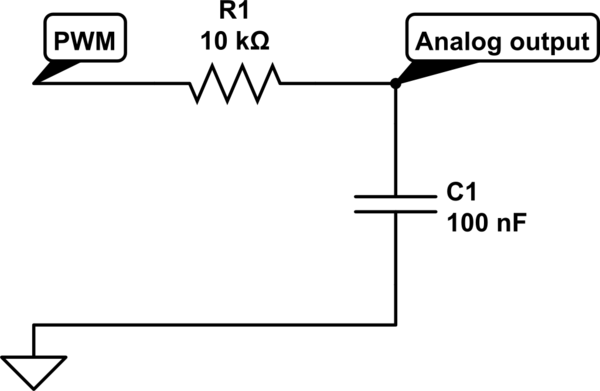 The analog outputs aren't real analog outputs, they are PWM. That means that they rapidly switch from OFF to ON and back to OFF again. The analog value is the ration of OFF time to ON time, known as the Duty Cycle. Not the answer you're looking for? Browse other questions tagged arduino-mega pwm hardware analogwrite or ask your own question.